Click the periods below for a more in-depth chart. 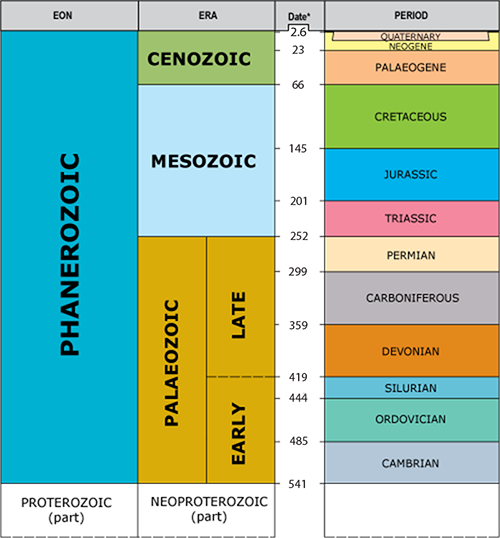 *Based on The Geologic Time Scale 2012 by F M Gradstein, J G Ogg, M Schmitz and G Ogg (2012), with additions. For more detailed information, please visit the downloadable stratigraphical framework reports.